I got a denial for H1b in Nov, 2018. The decision was appealed by the employer and we have not received decision till now. Can the employer file again this year April without withdrawing the appeal ? Or to apply this year we have the cancel our appeal ? A New H1B can be filed by them or anyone else, no need to have the request cancelled. Apologies for the lengthy message, this is a bit urgent so will appreciate a speedy response. I was informed by the company in July 2018 that my petition has been picked in lottery. Since then I kept on following up but they kept saying that there is no update on the petition. The last communication was in November 2018 after that I stopped following up but only yesterday I received a call from them saying that they there is an update on my petition and they have received an RFE. Since the time I applied I was already in Australia on work visa and seeing no progress on H1-B I started looking for new jobs in Australia and now I have got an offer here in Australia itself. So I told them that I will not be interested in H1B anymore, but they tried to convince me to go ahead with the application. If I refuse, then I will have to pay them 3 lakh rupees(which is equal to 6000 Australian $) as I signed an Indian affidavit on stamp paper . They are offering me 100000$ and I have an offer of 150000$ in Australia itself which is more than 100000 American $. And in Australia there is the option of PR as well, while the H1B will only be for 3/6 years. I am in a dilemma right now. Could you please let me know if I should ask them to stop the H1-B process as now I have got better offer in Australia itself? Although getting selected in H1-B lottery is difficult and one can move back to Australia any time. I will appreciate your suggestions/responses which might help in making a decision. Are the H1B applications of last year still in progress and still receiving RFEs ? Can I ask the company for more evidence, any file number to cross verify ? Hi I need suggestion am on F1 cpt i have applied Fresh H1B 2017 and 2018 both years H1B got Denied under specialty occupation . 1. What are the chances to get it approved in 2019 ? My H1B got selected in Lottery. But in last i got email from my company that USICS requested for additional evidence, since then i am checking in the USICS poratal for my cases status but its still in “Case was received” only. usually how long it will take for status change and when we need to upload the additional documents. My company filed my H1B petetion for 2018. Got RFE in August’18, replied to RFE and it got approved in December but only till 31st Dec’18. Now we have to file for h1b extension. any idea how much more time will the extension take and is there a chance that it will go into RFE again? I have a valid H1B petition and visa stamping with Employer A. I have told them that i ll join in January 2018. Currently I am working in India for Employer B. Now my current employer is willing to transfer H1B. But since premium processing is suspended, it is unlikely that it will get approved before January. 1. If Employer B iniates the transfer and gets the receipt notice, can i travel to US with employer A approved petition/visa and start working for Employer B with receipt notice? 2. Can i wait for Employer B petition approval and then travel to US with Employer B approved petiton and Employer A visa ? Or should i go again for stamping? 3. If i chose option 2, then Employer A might withdraw the petition thinking that i may not join them owing to the timeline i committed to them. In that case any issues to the transfer process of Employer B. 4. What happens if Employer A withdraws the petition and Employer B transfer denied? Am i cap exempt so that i can apply through another employer in future. 1. Well, in my view, it may not be allowed as you entered using Employer A petition. You can work, if the H1B transfer is filed after you enter US and then submit for H1B transfer using your I-94 and all new details. 2. You do not need stamping again. You can use stamping from Employer A with new approval notice and enter US. 3. Withdrawing petition does not impact your H1B transfer…your old petition was only used for getting cap exempt option. 4. You would be cap exempt for up to 6 years from the date of filing of first petition. The location change amendment RFE has been responded on July, and its been with USCIS for four months. Am planning to go to home country for my family situation. Normally how much months its taking to get approval. I am planning to raise a ‘Service request’ in USCIS. Due to raising a service request whether my case process will more delayed or any chance to process soon. Could you please help me to understand service request process. My employer always stating not approved. I got Specialty occupation RFE. Heard from attorney that this is common and easy routine RFE sent this year for most. Attorney responded with relevant docs. 1) Usualy how long it is taking to process after RFE response sent. 2) Is this specialty occupation is routine RFE or critical RFE?. 1. As per USCIS you will get the response (approval or second RFE or denial) within 60 days. However, due to lot of backlogs the waiting period may go up. But you (your employer or attorney) may raise a service request after 60 days. It is not must for them to respond to your service request but most of the time they do. Also, I do believe you will get some response within 60 to 90 days. 2. It is a common RFE for many years. And also this is the basic thing the employer need to prove to get an H1, i.e, if the job is not comes under specialty occupation then h1 will not be issued. Thanks 3rd timer. I got approval 2 days back. question : My friend H1 also got picked and got same specialty occupation RFE same day as me. And RFE responded on same day as me. and Attorney got ack on same day for both of us. But, My status was properly updated in egov and dhs websites. But, his status still showing as case received. Is this USCIS fault?. or will only one case status will reflect for one account?. Note : I have registered for both of us in egov and DHS website with my account only. It’s been more than 8 months since my h1b amendment is filed. Could you please let me know amendments filed on which dates are processing at this moment? This year is damn slow processing. Wait for your turn. My H1B picked up in lottery in 2017 and got approved in August. During stamping I got 221g. After a long wait my H1B visa got stamped with Employer A. So currently I have an approved petition and stamping with Employer A. Currently Iam in India. 1. If another Employer B is willing to transfer my H1B and if it gets approved, can i travel to US with the new approved petition and old employer visa stamping stamping? 2. If H1B transfer gets rejected, whether my old petition and stamping is valid? 3. What can happen if my Employer A come to know that Iam transferring my H1B to another employer. What all can he do like revoking, withdrawing etc..
4. If something happens like that, am I cap exempt? 4. yes. You are cap exempt. If you are travelling for the first time on H1B then you need to get stamped again thru petition of employer B. The stamping should be updated with latest petition while travelling for the first time. My friend faced the same issue at POE and went thru secondary inspection process. Could you please provide your insight on my case. I’m on H1B, my employer has filed an amendment for me for location change (direct client to my employer) on 21st of march this year. It’s been more than 7 months. However we’re still waiting for decision from USCIS. Therefore, I have the following questions. 1. How long it might take to get the decision from USCIS for amendment in current scenario? 2. Can I travel out of country while my H1B amendment decision is pending? If yes, what are the documents I need to carry? I have entered US and worked for client 1 month and came back India 4 months before. Can I go to US again to work with same client ? I was in US for 1 month. I got pay slip from my company. I have used for 1 months my H1B visa. How will it be counted ? You can, if your employer is willing to continue your employment and your H1B is valid, and you get paid on H1B as per the application filing. If you entered on H1B visa, you would have used only 1 month of your H1B time. My H1B was approved for 3 years and I have used for only 1 month. I had entered on Jan to Feb 18. Can I use my H1B for remaining 2 years and 11 months or how is it calculated ? Your H1B clock is calculated by the amount of time you have spent in US. Yes, you can apply for H1B transfer with a new employer or work with your current employer as well. I have H1B stamped on August 2018. I am planning to fly on Jan 2019. I want to apply H4 for my wife & two kids. Please advise. 1) Can I apply H4 when my H1B is stamped but have not travelled yet. 2) If yes, what is the process to do that? Should H4 be initiated from my visa sponsor (Employer) or I can apply without employer help? 3) Should I be paying visa fee for all three (Wife, 6yr & 2yr kid)? 2. They can go for H4 visa stamping and get it done. Check H4 Visa stamping experience – Docs Checklist. You can speak to your employer too to get guidance and check with the attorney. 3. It depends on how you have your contract with employer. Usually, employers take care of these expenses as well. Thank you so much. One more question. Can my dependents (Wife & Kids) go for H4 visa interview without me (Just keeping my passport)? I am asking this because since I have not traveled to USA yet, is it mandatory that I should accompany my dependants while H4 interview? Not required. They can go or stamping without you but with your documents (approved i-797 and other). Please check with your company’s immigration team/ attorney to find out what are all the documents required for stamping. Good luck and all the very best for your stamping. -I want to travel to India in November for personal reasons and return December last week. I want to know if travelling while case is still pending would disturb H1 application process. As after some research I understood that I can travel outside country anytime while case is pending but to return I need to wait till case gets approved. [P.S I will be working from India]. -I’m pursuing PhD (program end date May 2021), My Initial F1 stamping expired on June 2017 I have Masters (graduated 2014), utilized OPT period and then took another Masters with Day 1 CPT and now pursuing PhD with the same university . What if I go to F1 stamping in November and it gets approved, Is my H1 application still valid at this point, will h1 be processed? -It’s been 180 days since I received H1B receipt, any other way or call to inquire USCIS to check on status or to expedite . I understand premium processing is suspended till February. Your travel to India should not have any impact on your H1B, only thing is if it was filed as COS, it would be abandoned. Yes, you will need to get F1 stamping to re-enter US as your F1 visa is expired. Talk to your DSO and make sure you carry all documents that are required for you to present, if asked at Port of Entry. You may call USCIS, but not going to change much. On April 12, 2018. Still no update for this case. kindly help me to understand the same. Unfortunately, it can be long many times, you have to wait…there is no ETA from USCIS for this. Temporary suspension of PP is also applicable for 2018 h1 quota? Yes. Its for all till Feb 19. I was issued 221G asking for client letter at aug 10th 2018, submitted docs by aug 28th.Now i got a mail from USCIS like the one below. With reference to your U.S. Visa application, we kindly request you to submit your passport (also the/your dependents, if any, who applied for US visa along with you) and a printout of this e-mail at one of the 5 Visa Application Centers (VACs) or 6 VFS offices. 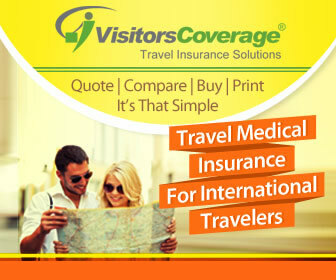 To locate the 5 VACs and 6 VFS offices closest to you, please check the website WWW.USTRAVELDOCS.com/in. There will be no fee charged for this service. Also i dont see the status change in CEAC website is this a positive sign? any thoughts idea? It looks like your case already approved. Dont worry much about status change in the website because now a days it is not up to date. Just submit the passport as soon as possible . Good luck and all the best. Safe travel too. Yes, just submit it if you have the email…sometimes, the online systems are not fully updated. Currently, I am on cpt working at client location. my h1b got picked up this year and received an RFE, my employer is yet to respond to the RFE. however I am planning to travel to india from first week of feb to first week of mar next year. Not sure it my I receive the decision from USCIS before I travel. is it ok to travel while h1b is pending and what are the possible issues? If you are on CPT, you are on F1 status…Not sure, how your H1B was filed either COS or consular processing. If it was filed as COS, the COS would be abandoned and it will processed as normal consular processing, meaning you need to get visa stamping to move to H1B status. 1. If COS is abandoned when I am in India, would that affect my current F1 status? Can I still travel to US on F1(valid till dec’2019) when my COS is abandoned? 2. According to current situation, How long it might take to get a response for an RFE? 3. what are the chances of receiving uscis decision when I am India(from feb 1st week of 2019 to mar 1st week of 2019)? 4. If I receive approval after reaching US on F1. Should I go back to India again for stamping (or) I can also go to Canada for stamping? 5. This travel is very important to me and I need to go to India due to personal reasons. What would be your suggestion in order to avoid any issues to my status? 1. It should not affect your F1 status, they are independent. Make sure you speak to DSO and carry all documentation for F1 and have valid visa stamping on your passport to re-enter. 2. it is hard to tell. 3. again, very hard to say, everything depends on case and USCIS load. 4. you may go for stamping in Canada, but check with Canadian embassy to be sure as rules keep changing. 5. Life is not black and white, you need to take some calls based on what is priority for you…I would not able to advice, you need to make an informed decision and not regret if things do not work out. Will the petition automatically changes from COS to Consular processing (by default) once it is abandoned or do we need to do anything from our side? COS will be automatically abandoned. Nothing to be done from your side. Now I have got RFE and status is pending. Do we have any such option so that I can change my petition from COS to conuslar processing now while submitting my RFE? Thanks. Check with your attorney, it should be possible. It may be a dump question, sorry. I am traveling USA next week for a three week seminar using B1. Can I apply for SSN during this period? Is it allowed to apply SSN using B1? I got my H1B stamped in my passport 3 Months back. Actually the employer (employerA) who sponsored (I paid 4k$ as deposit BTW) me the visa is not showing interest in bringing me to USA. He is not giving confidence that he can arrange client interviews and get me a job. I just got a call from another companyB who is ready to transfer the visa to them and arrange me a job . The good thing is that they are ready to sponsor me flight tickets, accommodation, food for 30-45 days. That is not the case with the companyA who sponsored me the visa. Please note that I have never been to USA so far. As I heard, we need to have atleast one month payslip from the companyA who sponsored the visa, otherwise the visa cannot be transferred. But the companyB said they will manage it as they have 3000+ people working for them and their immigration team know how to get transfer smooth and complete success. CompanyB is even ready to give me some advance until I secure a job. I need your advice and guidance and how to proceed further. Since you re not even started to work for company A, I believe, it is not required to submit the pay check when you are changing the job. So, if you think that company B is good one and better than A it is worth to try the transfer. Also, you no need to worry that if A will come to know you are attempting transfer with B. Because, USCIS will not inform company A. They will treat your transfer as new petition but no lottery because it was already undergone the lottery. Only draw back is there is no premium option for transfer so you need to wait at least 3 to 6 months. Some people advice that based on transfer receipt you can work and that’s true. However, some time visa officer at the poet of entry may deny (not 100% certain but it may happen) your admission. So, best case scenario is join B after you receive an approval. Whatever I explained above is about how the transfer work. But joining A vs B, it is your individual decision. My suggestion is reach out to some folks who are already working with B and they might give you better answer. Good luck and all the best for your transfer if you plan to go through. Selected in lottery but still no word of results. Is there anyone else in the same boat? My application is at the CA center. I read somewhere if you havent heard back by June its usually a denial? How true is this? Hi, I am on F1 visa. During h1b process, I worked for company A and then I changed from company A to company B. My H1b application has been approved but only for 3 month. How can I initiate process for extension ? Your Q is not clear. Which company filed the H1 ? I work through consultancy. My consultancy filed the H1b. I mean my client changed. when employer have start to apply for renewal process? Again, the Q you are posted in not very clear. Ok, This is my understanding. You are in F1 (OPT/CPT/STEM Ext/or Cap-Gap) and working for a consultancy. They placed you in Client A and submitted the H1 with Client A’s credential/documents. Now, your H1 is approved for Client A for 3 months only in the mean time your job is changed to Client B which may be long time and you/your employer wants to change your job to B. If the above statement is true then file an amendment/extension on or later October 1st and based on the receipt continue to work for B till your get extension or RFE etc. It is better to ask for an amendment after October 1st because your H1 already kick-in. If you ask for an extension before that H1 official start date some officers may reject with an interpretation that your H1 not yet active. Speak to your employer B and ask them to apply for extension. Thanks. My H1 B is already stamped in my passport. My passport has both B1 & H1B What kind of issues I might face if I go by B1 via Company1 ? I am working on Company1 and Company2 sponsored me H1B. I already have B1/B2 from Company1. Company2 has asked me to travel only after Mar 2019 due to project requirements and thus I have not travelled yet. So, I have not put my resignation yet with Company1. Now for some reason, Company1 is asking me to go USA (using the B1 they provided) for 2-3 weeks. Please note that I have never travelled to USA before. In this case, what will happen in immigration check? I don’t want company1 to know that I have H1B stamped from another company. Will I face any issue in immigration check or with Company1? Since your new H1 is not yet stamped (assuming Comp 2 petition was already approved) It will not be a problem. Also, even if it stamped I believe it will not be a problem. Problem only happens at the port of entry if you are unable to answer the questions truthfully otherwise you are fine. –Good luck and all the best for your travel and also for your approval (if not yet approved) and for your visa stamping (if your H1 is/was approved already). You need to mention clearly to the CBP officer that you are entering on B1 visa for business meetings with company1, so that your they enter in system that you have entered on B1 visa. Company2 does not have any info about you, unless you tell them.